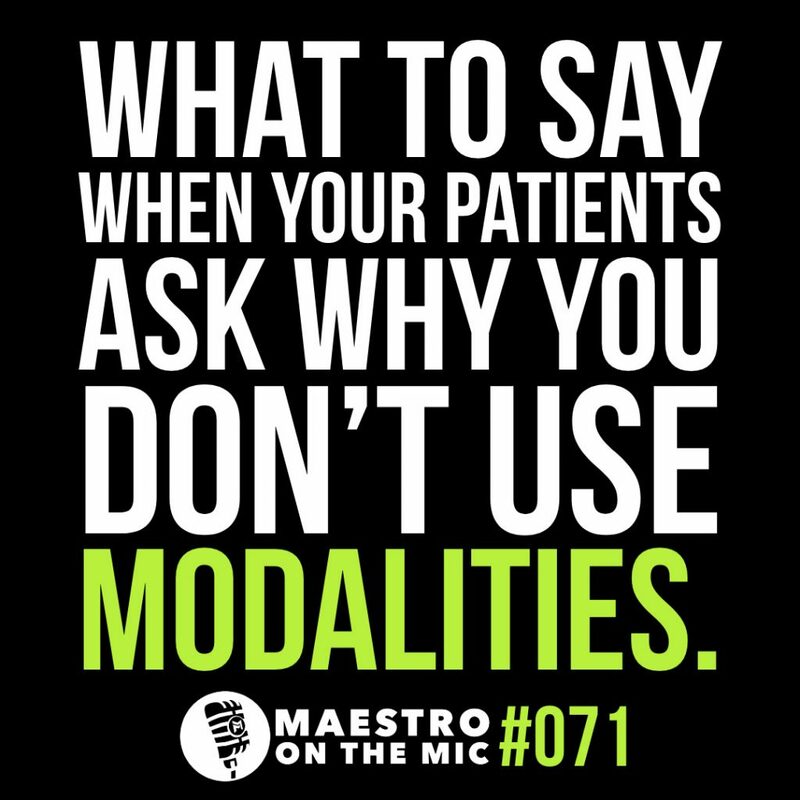 What happens when you work in a clinic where everyone else uses modalities and you don't, or treats within a paradigm that is different than yours? What happens when you patients ask you why you aren't doing the things that everyone else is doing? In this episode I share what I think is the best response to these questions, and my answer just might surprise you. Or, maybe not 😉 Gotta tune in to the full thing to find out.